I don’t know about your little ones but Baba has always loved having a muslin or a swaddle with him. Such a product is actually one of our essential items in the Frenchie house. I reckon we have about 15 muslins or swaddles in total and we use them in many ways. Baba loves them as comforters or blankets. He even sleeps with one. I find them parfaits to clean his face or wipe any leftover when he eats. C’est simple, I don’t leave the house without one. So when the Little Art Collection gave us the opportunity to review one of their Bamboo Baby Swaddle Blankets, no need to say that I was over the moon! 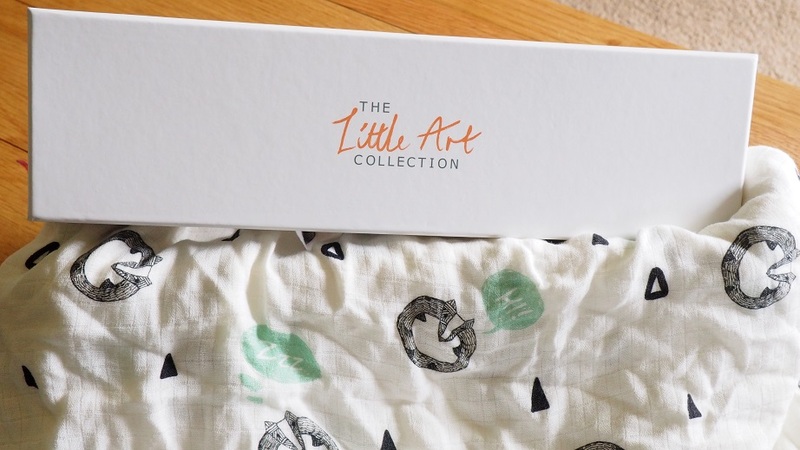 Have a look at our Little Art Collection Review and don’t forget to enter our COMPETITION to win a beautiful Swaddle too! At a retail price of £29.99, you know you want one! The item we are about to review! What is the Little Art? 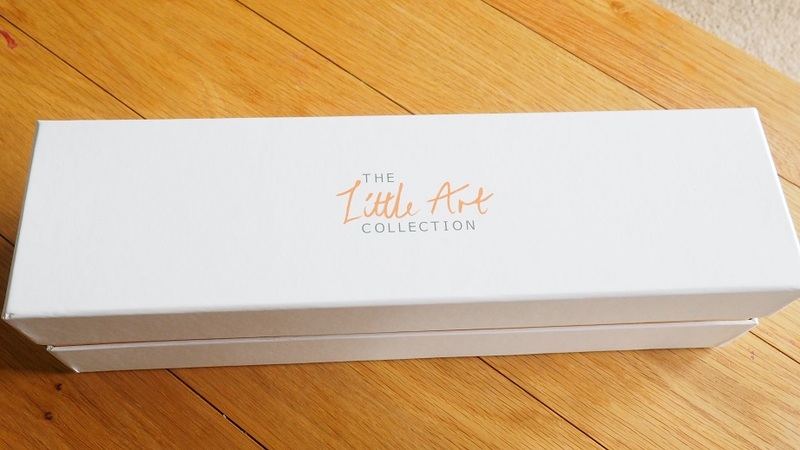 The Little Art Collection was created in February 2016 by Pippa and her husband. I said it many times before but I will repeat myself here. I love working with mum entrepreneurs. Therefore, I am very proud to collaborate with this brand today. Especially when its products are just divine! Their business concept is simple. 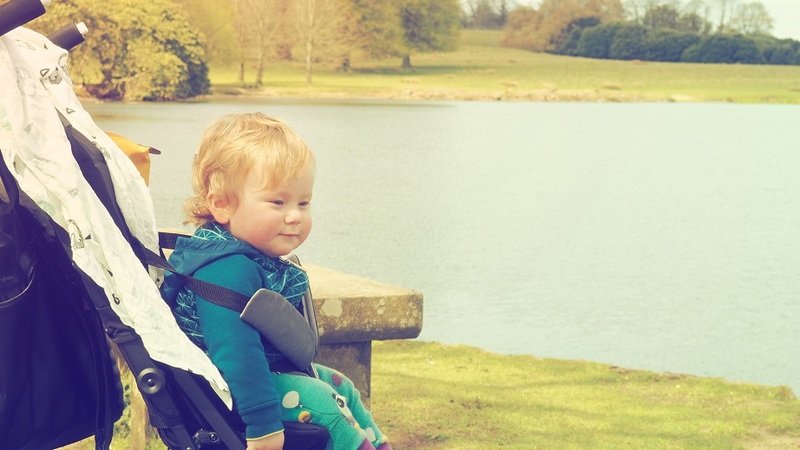 Both Pippa and Adrian wanted to create quality, practical and beautiful baby essentials. All of their products are presented in gorgeous complimentary gift boxes making them the perfect new baby or baby shower gift. Let us show you what we made of the swaddle we received to write this Little Art Collection Review. A Badger Print for a Frenchie Baby! I must admit that the first thing I noticed on this item was the print. Already using swaddles on a daily basis, I didn’t need convincing about the utility of this product. However, the Badger print makes it truly unique. Each pattern on the website is inspired by British Art. 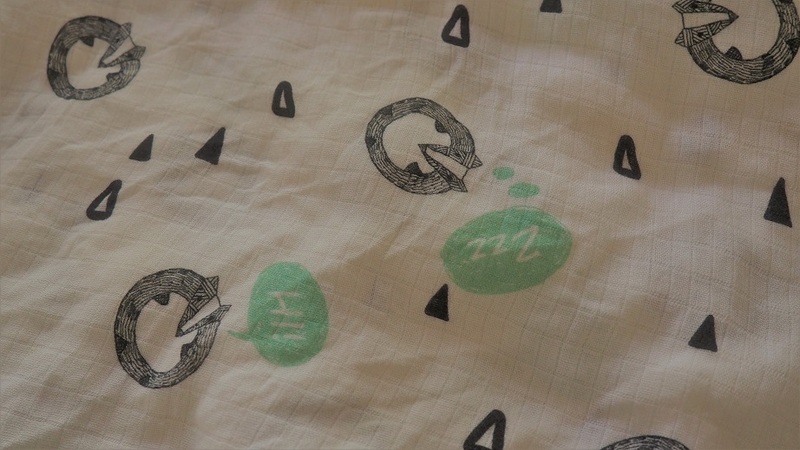 The print of our swaddle was designed by the artist Florence Whittle. 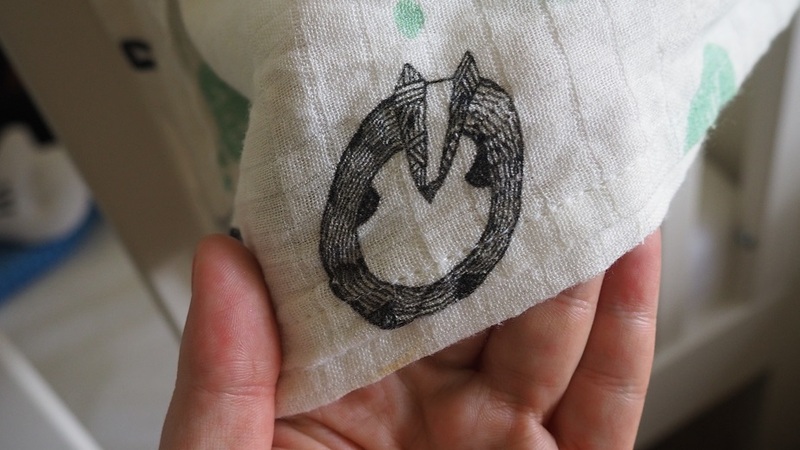 I love any baby clothes or items with badgers as it’s actually the meaning of my surname in French. This specific design was quick to seduce me. It is both fun and stylish. I am in love! If you are a fan of animals prints, the Little Art Collection will become one of your favourites very quickly. Butterflies or fox, there is something for everyone. Each design is carefully made with a very good taste for sure. All their products are designed and made in Britain. What else is there to like? I am always looking at supporting local industry. Another feature I liked about this swaddle was the luxury fabric. Made of 100% Bamboo Rayon, the swaddle is facile to wash. The material used to make our blanket is often described as Cashmere. Indeed, the swaddle felt very soft. Le plus? Bamboo is also sustainable, extremely absorbent and has natural antibacterial properties meaning its kind to the environment as well as the baby’s skin. I am a huge fan of sustainable fashion as I think it’s très important. This item had everything to seduce us! It was not long before Baba became a fan himself! I am in love too! You would have understood it, we love our new swaddle blanket. So much indeed that we even took it with us while we went away at Easter. 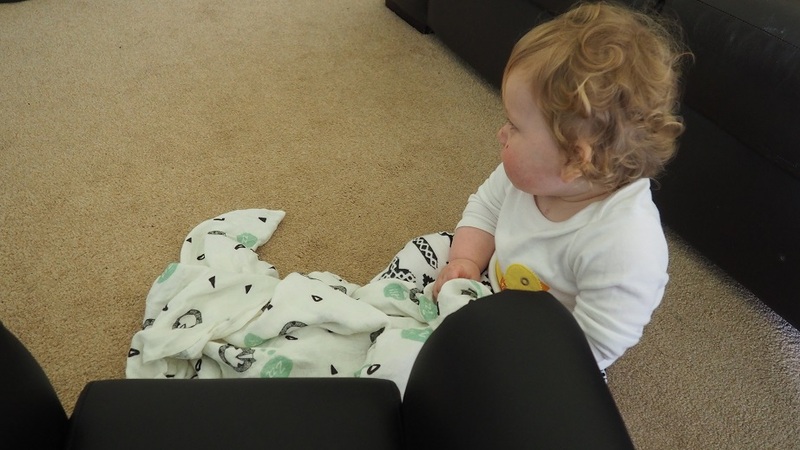 It literally went everywhere with us and has now become one of our favourite blankets! 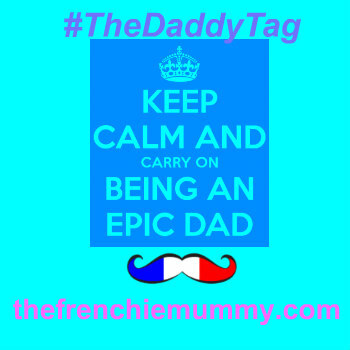 Ready to be used, just in case the Frenchie Baby needed it. The Little Art Collection is sublime! Yep, nothing less than that! We love our muslin and I am sure it will be with us over the next few months in our future Frenchie adventures! 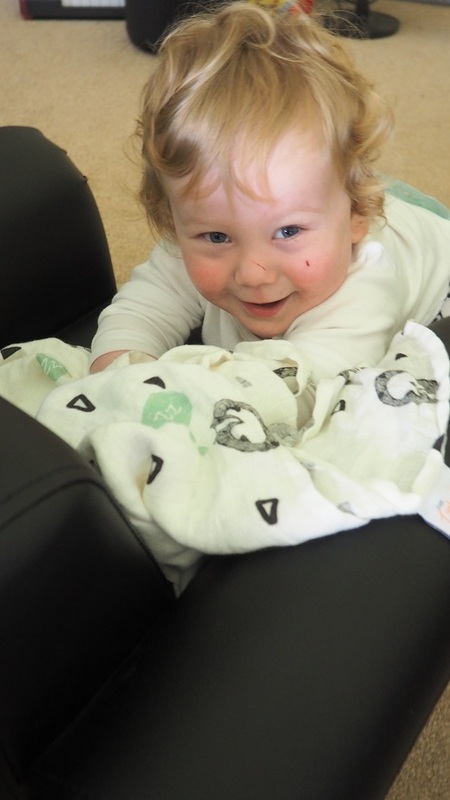 Win a beautiful baby Swaddle Blanket worth more than £29! We teamed up with the Little Art Collection to give you a chance to win a blanket from their collection. 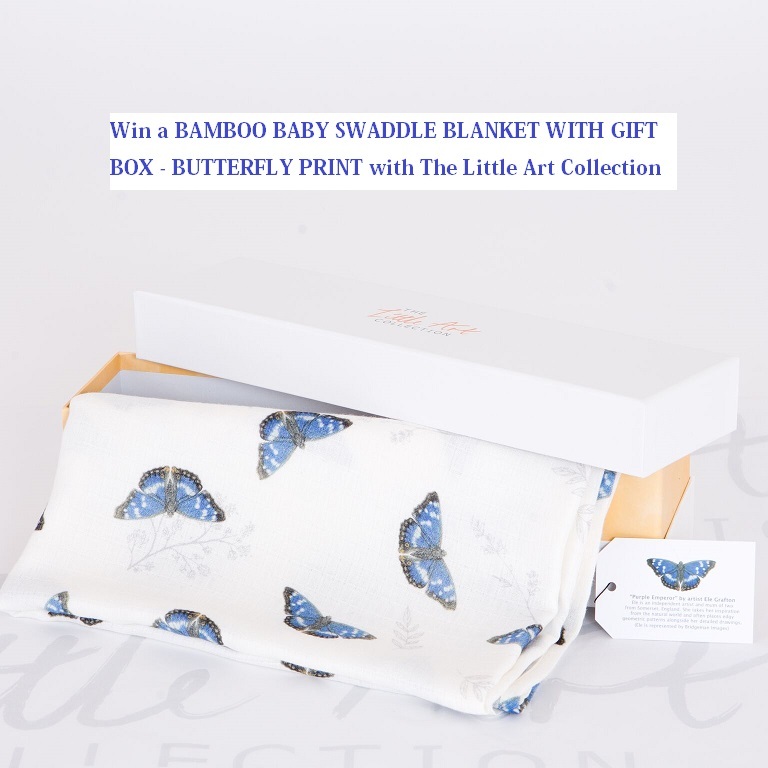 You are in to win this beautiful swaddle with a gorgeous butterfly print. Enter via Gleam below for a chance to win this fabulous Frenchie prize and turn your baby into an arty bébé! This giveaway starts on Sunday 30th April at 1 pm and ends at midnight on Tuesday 30th May 2017. The closing date is 11:59 pm on Tuesday 30th May 2017. Provision of the prize is the responsibility of the Little Art Collection. Disclosure: We were given this item to write a review. However, all opinions are my own and this blanket is truly magic! Anything with a badger on it is, vraiment! A friend is expecting a baby boy very soon, so would be a useful and lovely gift for them. Although, my daughter hated being wrapped up tightly, the midwives gave up on that. I love the fox print. What a lovely item! This is definitely going on my baby wish list! my friend has literally had her baby today, little baby boy called Niall. This is perfect timing, what a lovely gift. Awww, the twins had these. They seriously were the best! Perfect for my little baby on its way! Perfect for our upcoming beauty! Would love one for my baby due later in year. Love swaddling ? I am a big fan of beautiful blankets, so will definitely be checking this out. I love the graphic print on this one! Badgers are awesome! I love the print! Both my girls used a muslin as a comforter for bed. Alice more than Holly, but she has grown out of it now. My babies are growing up! It is odd that swaddling went out of fashion for a while. So pleased to see that it is back. The Little Art collection is fab. A great giveaway, this would make a great gift for my friend. Keeping my fingers crossed! Thank you for the chance to win such a lovely prize! Lovely prize. Would be nice for a baby gift. 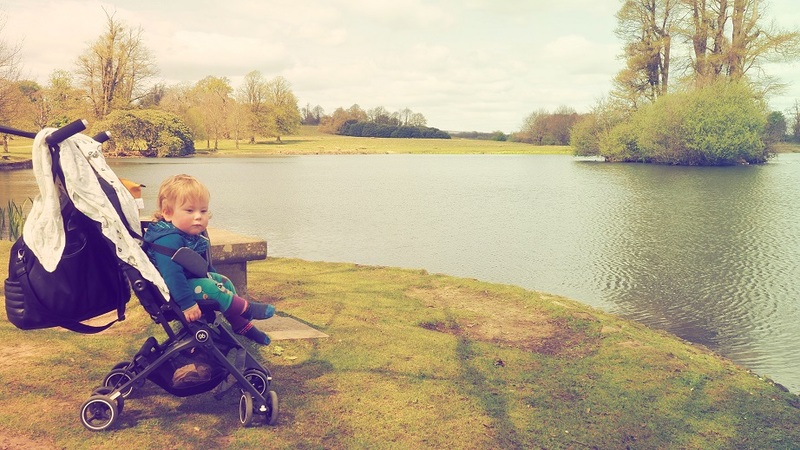 Thank you for running such a lovely giveaway, this would be perfect for our baby girl Mia. This is such a gorgeous blanket! I would love to win this for little bump that’s due to join our family in December! Beautiful, would be perfect for our first baby girl due in a few weeks ? Thank you for the lovely giveaway – a friend of mine just had her first, much wanted daughter and so if I am lucky enough to win this, I will be giving it to her! Thank you again! Lovely giveaway, love The Little Art Collection, such fun designs and so nice to have so many unisex choices!